I have a bit of love/hate relationship with Shoreditch. I LOVE that it's bursting with exciting new pop-ups and incredible restaurants. I love the fact it's a bit grotty in places but also buzzing with creativity and history and I really love all the food (did I mention that?). But...a lot of the time, that's all weighed out by how much I really hate the train journey. On this occasion, that reason is Salt and Dry. 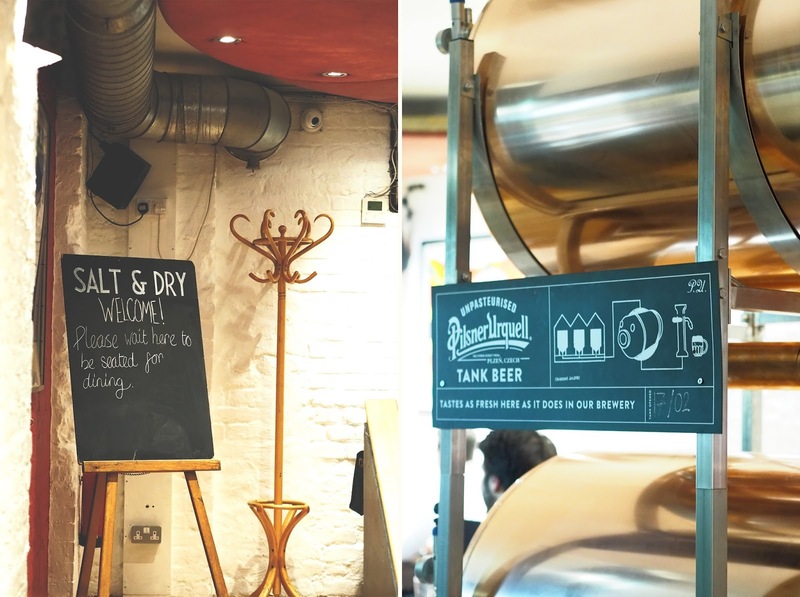 They've just kicked off a three-month residency at the Strongroom bar and kitchen so I couldn't resist heading down to give you guys the low-down. 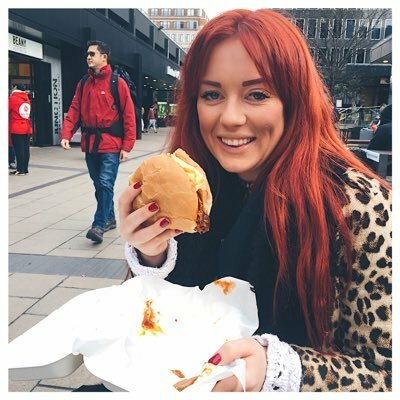 The venue itself is on Curtain Road right in the heart of Shoreditch. 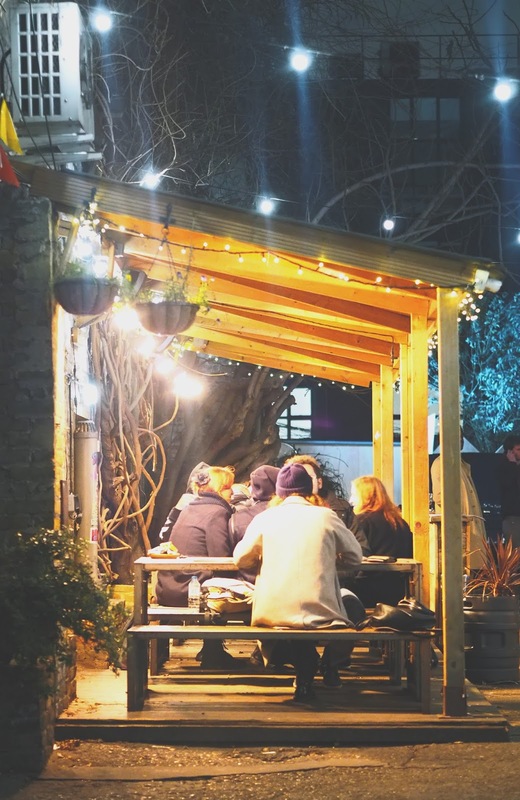 They've been there for well over twenty years (so I guess you could call it an East London institution) which boasts a late-night music venue, recording studio and restaurant as well as a huge outdoor courtyard. If you head on upstairs, that's where you'll find the kitchen currently being occupied by the Salt and Dry boys for the next 12 weeks. 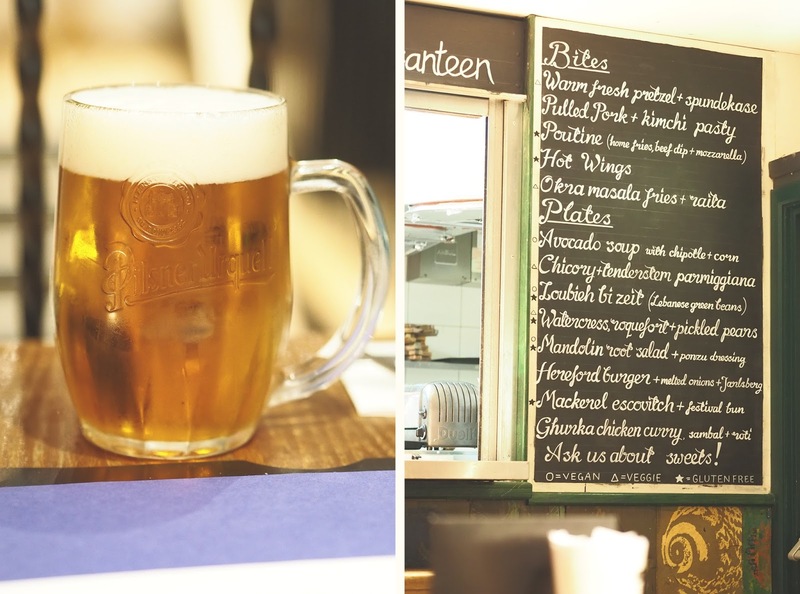 You can pull up a table next to the huge tankers of Pilsner Urquel as you read the menu (hidden in a record sleeve) or chalked up on the wall by the open-faced kitchen. Salt and Dry are street-food specialists with a penchant for pizza, cured meats and grilled meats which they're known to serve from the back of a converted Morris-Minor. 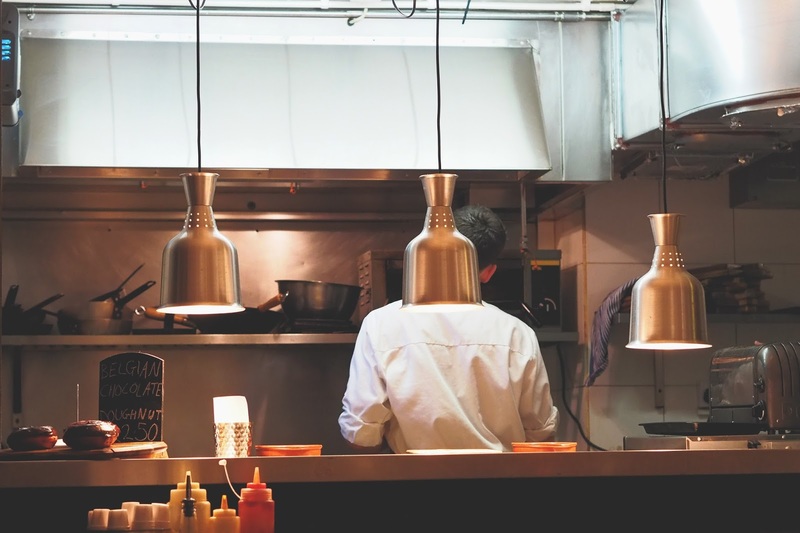 On the menu here, you'll find dishes from almost every continent, with each offering taking inspiration from every inch of the globe. My recommendation? 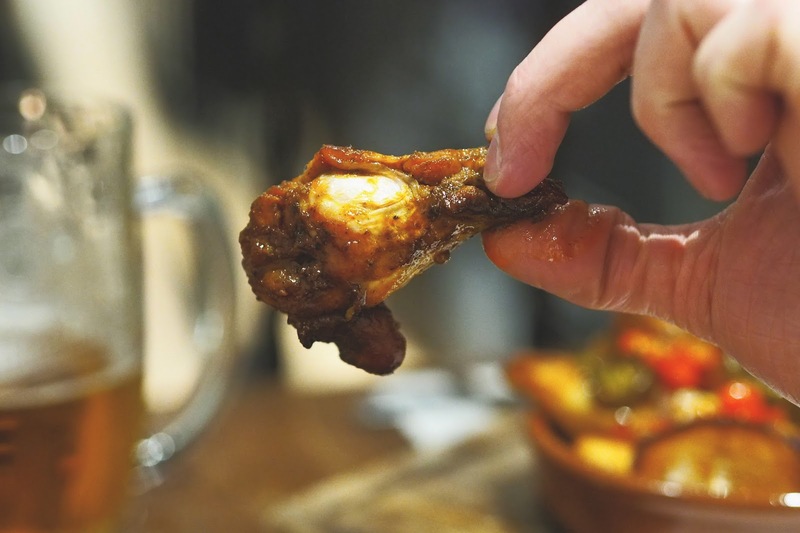 Start with a plate of the meaty hot wings (£5). They're red hot to touch with just the right amount of kick. Not too spicy but not to be underestimated either and fall off the bone tender. Next, try the poutine (£4.50). Now this isn't a traditional poutine. 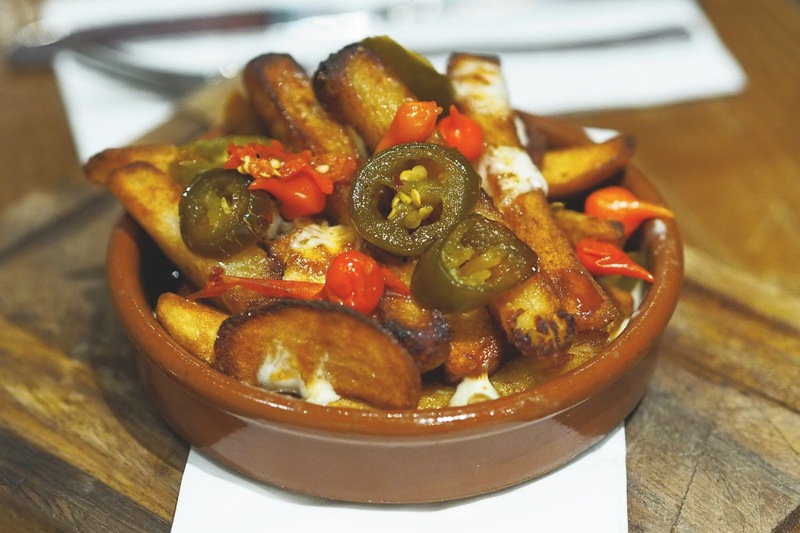 Traditional poutine is made with chips, cheese curds and lashings of gravy. It's the ultimate hangover food and the greatest discovery my Canadian housemates ever introduced me to at uni...but this one is still good. Yep a burger. It's East London after all. This one is made with Hereford blade beef, melted jalsberg cheese and onions (£10). 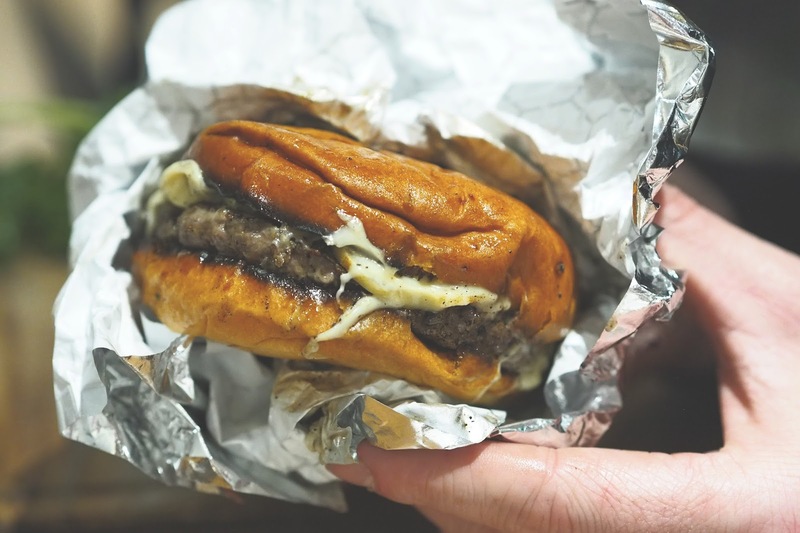 It comes wrapped in paper and is as messy and dirty as you'd want a good burger to be....if just a little flat! Don't be deceived by looks though. 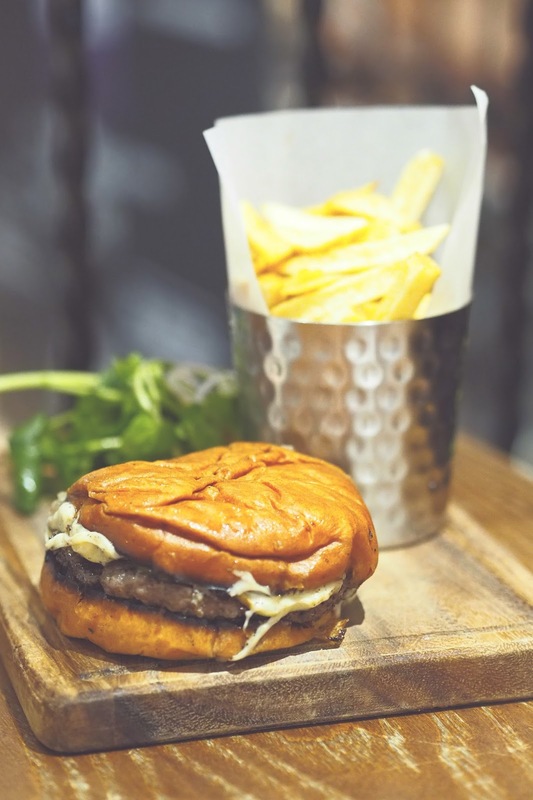 It's perfectly cooked, ultra juicy, perfectly seasoned and cushioned between two soft buns. A definitive must-order. My favourite dish (so promise me you'll order it) is the Ghurka curry (£12). 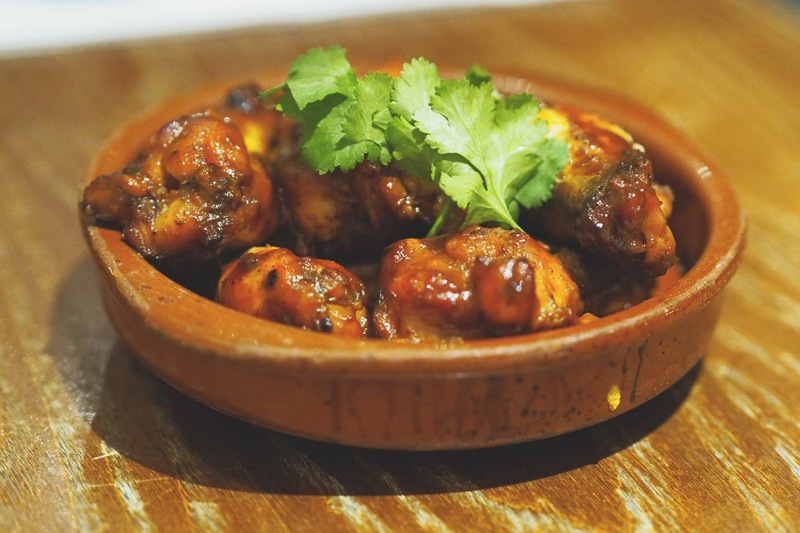 The chicken comes served in meaty chunks, still on the bone which means it's super tender and packed full of the spicy, curry flavours. 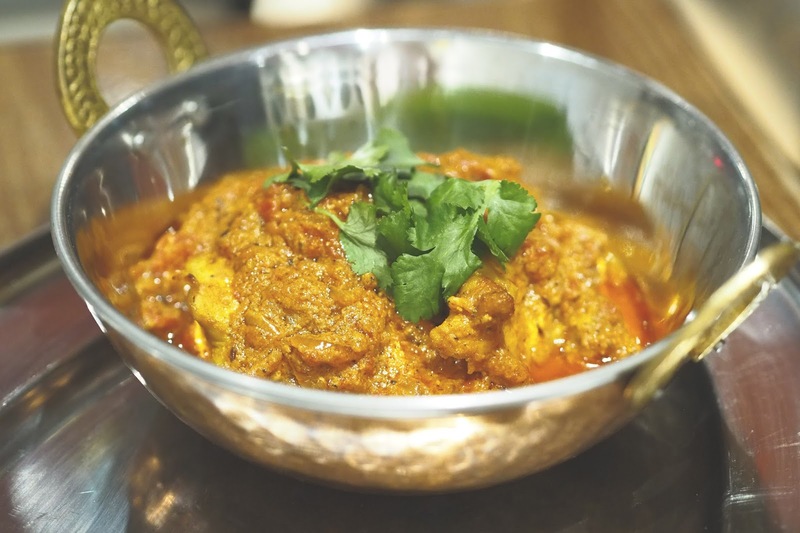 It's served with a soft, home-made roti, perfect for scooping up all the sauce and it's one of the most perfectly seasoned dishes I've eaten in a very long time! 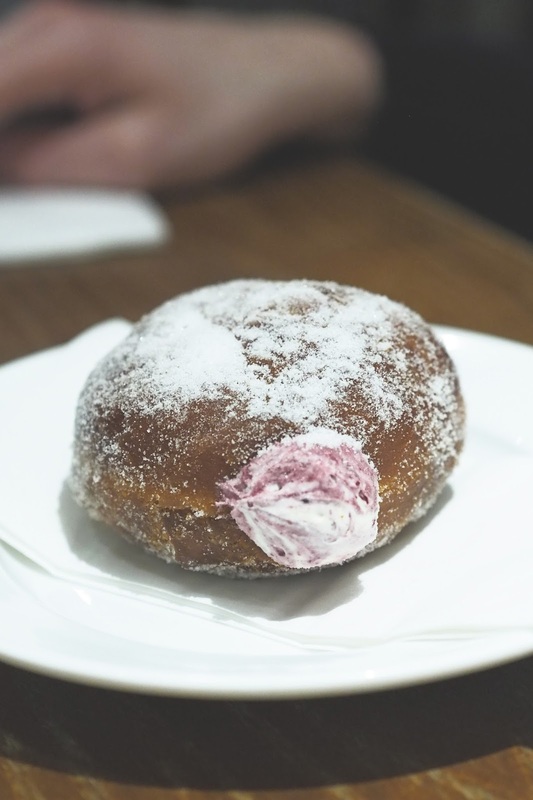 Saving the best till last, you need to order the blackcurrant and custard doughnut. I'm not even exaggerating when I say it's one of the best I've had in London and I'm really sad that the photos don't do even an inch of justice to it. We really did have an incredible meal with Salt and Dry. Each of the dishes was perfectly cooked and the service was spot-on. 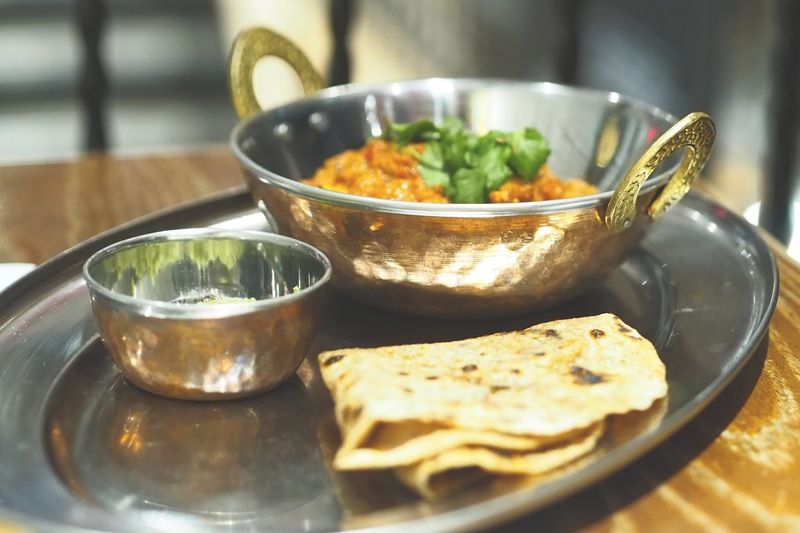 They have themed nights running throughout the week so you can pop down for a quiz night, curry Tuesdays or even Saturday brunch. If you do head down there, ask for Phil - he was our super friendly waiter who really helped us to have a great evening! Ohh the photos look amazing! I definitely need to try some new spots, it's on the list! Ah definitely somewhere I'm going to have to add to my list! I love a dirty burger like that, much prefer them to posh gastro-burgers. A good bit of filth! The doughnut looks amazing, have you tried the ones from Bread Ahead, this looks similar to theirs, they do yummy fillings in them too. Mmmmmm doughnuts.